2-way email sync – Emails sent from the CRM should be also logged in your email inbox, and vice versa. Zapier Integration – Zapier connects apps to other apps, so this is the only required integration (other direct integration are great, too). Ease of Use / Organisation – This will depend on how your sales tool stack is organised. Team & Collaboration Features – Again, this will come down to personal preference based on what your sales process looks like. Many business start with a list of companies sketched out on an office whiteboard, before next upgrading to a spreadsheet, and then finally choosing a suitable CRM software to keep track of their book of business. Making that choice is easier said than done, however. A wide array of variables factor into the decision, including the product’s functionality, pricing, integrations, user experience, security, and how it fits in with a company’s existing technology infrastructure, or Sales Stack. CRM comprises the foundational layer of the sales stack, and acts a control center for all other layers and processes. If it’s not logged in CRM, then it didn’t happen. Close.io has a great desktop application available in addition to its web interface. Founded by Steli Efti after pivoting his YC-backed sales consultancy Elastic, Inc. to make a CRM that his team could actually use, Close.io offers VOIP Phone and SMS texting capabilities. As one of the first CRM’s that I ever used, I was quite impressed with the customizations that it offered. Along with 2-way email synchronization, Close.io makes sales pipeline management a breeze. Streak CRM is a micro CRM that fits inside of Gmail. 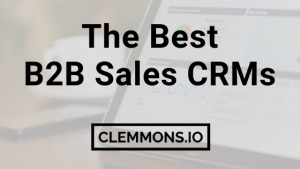 It’s great for those that are new to CRM. Streak also includes email tracking and scheduling, which can show you more details as to who has viewed your email how many times, and from what device & location (in some cases). Copper (Formerly ProsperWorks) is the only CRM designed for use with G Suite (formerly Google Apps) and recommend by Google. Like Streak, Copper has an interface that’s directly in your email inbox, which is where the salespeople of today now spend most of their work time in. Copper will participate in the Google SaaS Sales Alignment Program, according to a company statement in which their CEO, Jon Lee, announced his product’s ‘productivity-first approach’ for a ‘design-centric, mobile workforce’. Further discussion on this initiative and how it could impact other CRM’s can be found on Automated’s blog here. 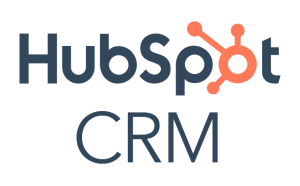 Hubspot has a free sales CRM as a part of their marketing suite. It can be quite tough to conquer the learning curve of the app. Importing bulk contacts isn’t as easy as it should be, as Hubspot CRM makes confusing distinctions between contacts and companies, which unfortunately is a common flaw with most CRM’s out there today. There’s also no 2-way email sync available, which can be rather inconvenient if you are using other tools to send email outside of the Hubspot Marketing suite. However, once you finish learning the ropes, there are a lot of amazing possibilities thanks to the sheer amount of integrations available due to its current market position. Hubspot’s Google Chrome extensions are currently dysfunctional for all users. Salesforce is, by far, the biggest CRM currently on the market.  As a matter of fact, it has since evolved from CRM to an entire ecosystem of products and 3rd-party applications that run on top of SalesForce CRM. The learning curve can be quite steep, which is why they have heavily invested in Trailhead, an educational and training program, with tracks for administrators, salesforce developers, and management. Both the Salesforce & Salesforce IQ Chrome extensions will no longer be supported, so you will not be able to auto-push contacts from your G Suite inbox into your CRM anymore. 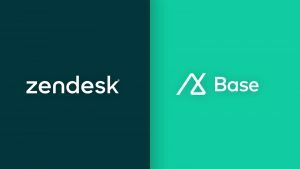 Zendesk Sell (Base CRM was acquired by Zendesk in September 2018) had a great mobile experience. After wrapping-up a call with a prospect on your mobile device, the Base app would pop-up, allowing you to leave notes about the call that just occured. Zoho has a CRM in their suite of small business productivity software. It can be quite confusing to master ZoHo, given that each tools (CRM, campaigns, contacts, mail, etc.) are isolated from each other. 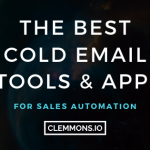 It does have 2-way email sync, surprisingly enough, so feel free to send your cold emails from a different tool. PipeDrive is good at illustrating you sales pipeline. This is useful so that your team can see a visual representation of where each deal is at in the pipeline. 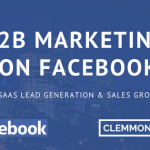 Infusionsoft is more of a marketing automation CRM than for B2B Sales per se, but you never know when sales teams may be forced to use it just because someone in the marketing department already made an independent decision. It’s not very easy to use, and they are dependent upon a network of consultants to assist prospective customers with set-up and use. The most popular CRMs, like Salesforce, will have direct integrations with just about any tool. Those that do not will usually at least have an integration with Zapier or PieSync, which act as conduits between various apps and API’s. Propeller is another CRM designed for Gmail & Google Apps (G Suite).